Wow, this is embarrassing. I incorrectly interpreted Blackheart’s tweet about new music and assumed that we’d be getting new songs no one has heard yet. It has been 3 years since Unvarnished came out, which came out 7 years after Sinner, which came out 12 years after Pure and Simple, so I guess I was just antsy for new tunes. Sorry about that! It turns out that the band wanted to play with their headlining dates at the beginning of August and started rearranging the set list every night, bringing back older tunes that haven’t been played in a while. Lucky ducks in Coarsegold got to hear “Reality Mentality” and “Real Wild Child”, and Modesto got “I Love Playin With Fire” and “Fake Friends” back. All great tunes that I missed in my shows back in July. Great music! I will continue to pine for new Blackhearts tunes as I always do, but I will never be sad hearing the old stuff. I am so lucky to be alive at the same time as these people! According to this Facebook post on the band’s official Facebook page, we will get to hear new Blackheart tunes in August! I just saw them live last night and I didn’t hear anything new. But it’s coming!!! 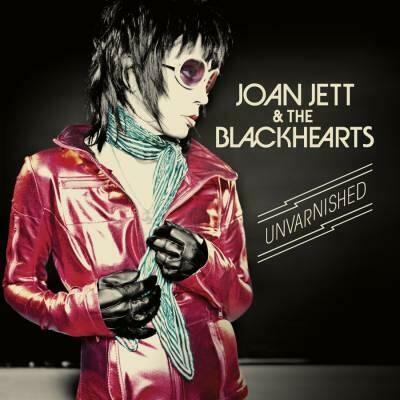 Based on the info for these three shows from http://www.joanjett.com/tour/, it looks like the Blackhearts are HEADLINING these shows, and they’re not part of the Cheap Trick/Heart tour. I cannot tell if there will be an opener or not, so if you can’t find out from the venue directly, assume there is no opener and show up early. I learned that the hard way last month and wound up missing the first 3 JJBH songs because there was no opener. Doh! I honestly was not expecting this; I’m still riding the Unvarnished high. CAN. NOT. WAIT. This entry was posted in Breaking News, New music and tagged NEW JOAN JETT MUSIC. Bookmark the permalink.